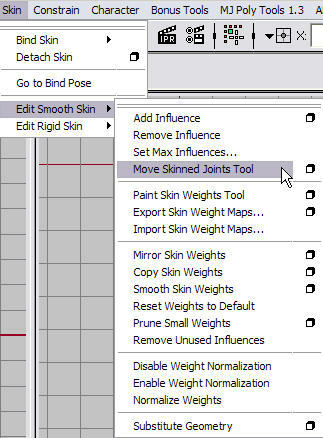 The creators of Maya 2008 made it easier for new users to use the misss_fast_skin_maya shader by automatically making the required light map connections. But unfortunately they broke something too! 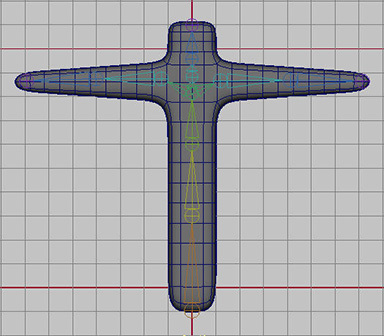 // Error: Cannot find procedure "AEmisssSimpleMayaBumpReplace"
Save the file and restart maya. 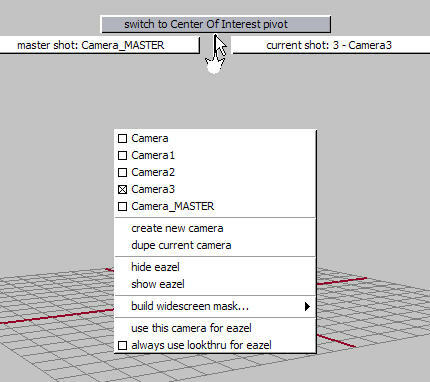 Maya 2008 introduces some new camera attributes. Here is a snapshot of the "Movement Options" in theÂ camera attribute editor. What this means is that if you select "Use Pivot As Local Space" then the camera will pivot around the "Tumble Pivot" instead of the "Center Of Interest" when you are tumbling around in the viewport. The default "Tumble Pivot" of 0,0,0 means you are just rotating around the camera's own local pivot, and there will be no translation of the camera. I think this is a very useful option for positioning cameras, but I dont like the idea of having to dig down into the attribute editor everytime I want to use it, so I wrote some mel script to make it easy to toggle the option on and off. Actually I wrote two scripts; one to be used as a marking menu toggle, the other to be integrated with Hamish McKenzies zooCam.mel script. djToggleUsePivotAsLocalSpace.mel is for use in a marking menu. Just add the command "djToggleUsePivotAsLocalSpace" and give it a name like "ToggleUsePivotAsLocalSpace". You should get something that looks like this (the rest of you menu will be up to you of course). 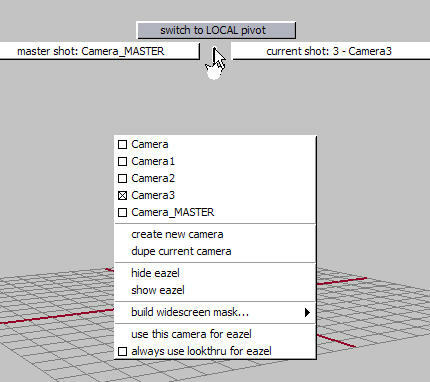 When you invoke this menu in a camera viewport the script will work out which camera it is and toggle the state of the "Use Pivot As Local Space" attribute. 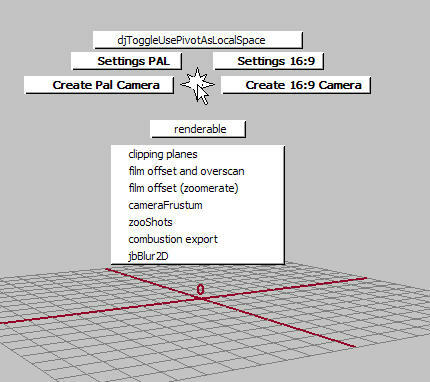 djToggleUsePivotAsLocalSpaceMenu.mel is an alternative script that was written to be integrated into the zooCam menu (which works in conjunction with the zooShots camera switching system - see http://www.macaronikazoo.com/ for more info). The integrated menu looks like this. If you want to use this style of menu you need to add a call to djToggleUsePivotAsLocalSpaceMenu and provide the camera name, which is very simple in zooCam.mel. If you download my script you also get a copy of zooCam.mel which I modified, but you will need to get the rest of the zoo tools if you want to use it. 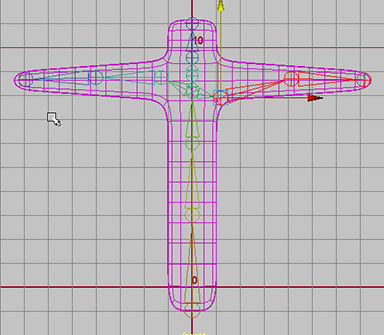 A while back I posted a modified version of the layerEditor.mel script for maya 8.5 which adds a "create layer from selected" button to the layer editor window. This is the maya 2008 version. The other day somebody told me about this excellent video tutorial that Keith Lango posted on his blog back in May this year. 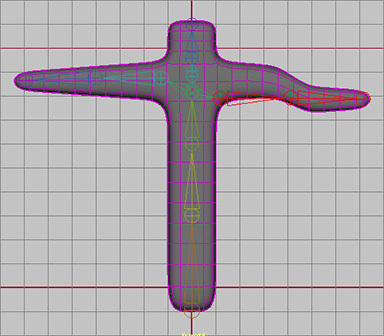 It runs for almost 30 minutes and demonstrates a rigging technique that is ideal for placing controls for facial animation on the mesh that they are deforming such that they move with the surface. My favourite plugin by Michael Comet has now been compiled for maya 2008. I have not tested it much but it seems to be working. If you find problems let me know.